There is a chance that this year's chart-topping festive single will have a lot more to say than "Merry Christmas everyone". At least three of the contenders for the 2016 "Christmas Number One" are hoping they will be sending their own more serious message from Yorkshire. It has to be said that as potential recording superstars they are an unlikely line-up. They include former miners from a pit near Doncaster, South Yorkshire firefighters and friends of the Batley and Spen MP Jo Cox, who was victim of an appalling hate crime. They are following a long tradition of using the Christmas single as a platform to raise serious issues as well as huge amounts of cash for charity. 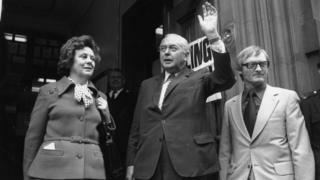 Devolution in Yorkshire - a delayed shotgun wedding? 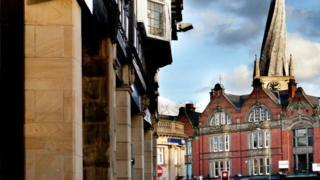 Image caption Chesterfield aspires to be part of a wider devolved region - but will lawyers scupper its ambitions? It seemed almost inevitable that the controversial road to devolution in Yorkshire would involve barristers well before the ballot boxes could be brought out. A High Court judge is now deliberating on whether voters in the proposed Sheffield City region will be going to the polls to elect their first executive mayor as planned on 4 May next year. Read full article Devolution in Yorkshire - a delayed shotgun wedding? 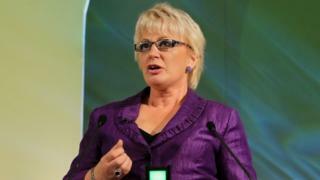 Jane Collins' seat in the European Parliament chamber in Strasbourg was empty earlier this week even though the result of the vote that was about to take place was likely to cost the UKIP MEP for Yorkshire and the Humber hundreds of thousands of pounds. 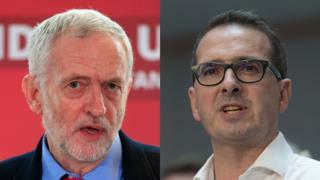 MEPs were deciding whether she could invoke the highly unusual defence of European Parliamentary privilege to stop the High Court in London ordering her to pay damages after it had ruled she had libelled three South Yorkshire Labour MPs. There wasn't much of a party atmosphere when Jeremy Corbyn took to the stage at a crowded evening social event for Yorkshire's delegates at Labour's conference in Liverpool. This was not one of those audiences that had hung on to his every word at big street rallies in Sheffield and York during his highly successful re-election campaign. 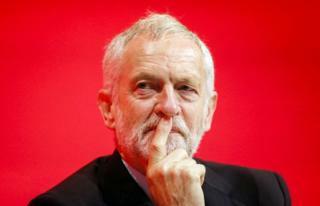 So what sparked off Labour's lemming-like rush to pull itself apart in one of the most acrimonious leadership elections in the party's history? And it certainly has been a no-holds-barred marathon. There was more than one puzzled face in the audience when the UK Independence Party campaign to replace Nigel Farage as leader arrived for its only event in Yorkshire. 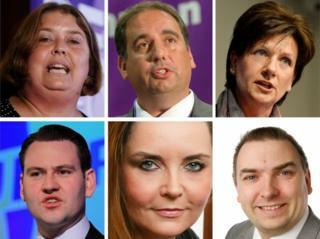 The 90 or so members who turned up in Wakefield came armed with questions for all six contenders. When political managers and spin doctors are fighting one of the tightest elections in living memory they will often go to the point of absurdity to ensure television pictures tell the message they want. 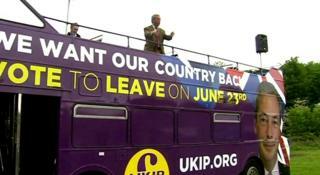 With the EU Referendum stubbornly stuck at neck-and-neck for weeks before we went to the polls stand-offs between TV crews and party organisers demanding to "check the shot" before their politician steps off the battle bus became an everyday occurrence. Excitement grows with just days to go before the vote to decide our future place in Europe. The Prime Minister is pinning his political future on the result. The event unfolding in front of me should have been enough to send steam shooting out of the ears of any self-respecting UK Independence Party supporter. A British judge was being stopped from awarding what were expected to be substantial damages against someone for a serious libel because of an 11th-hour claim that the rules of the European Parliament did not allow him to do so. For more than 40 years, the people of Lincoln have followed the national political swing. 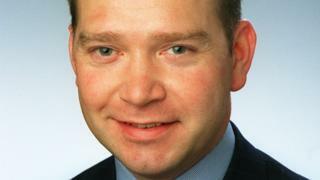 Len Tingle is the BBC's veteran political editor for Yorkshire and the North Midlands, reporting and commentating on the challenges facing of one of the most socially and economically diverse regions in the UK. He is a familiar face on Look North, on the weekly Sunday Politics programme, and is also heard regularly on the BBC's local radio stations in Leeds, Sheffield and York. Born in Barnsley, he reported on business and industrial issues from across the UK and the world for newspapers, ITV and the BBC before returning to Yorkshire in the mid-1990s. "Think of an idyllic or exotic place and I've probably reported from a shop floor, steel mill or coal mine close by - then caught the next flight out without seeing a single tourist attraction. "It was all great experience for eventually specialising in politics. Scratch the surface of any business story and a politician usually pops out - wherever you happen to be in the world."